According to Gartner, Inc.’s most recent mobile app survey, the primary barriers to application development in the enterprise are cost, time, and gaps in technical skills. For many, rapid application development (RAD) methodology has lessened the impact of those detractors on app development. First National Technology Solutions (FNTS), a leading provider of cloud services, has partnered with Pivotal to help businesses build and deploy brand new, cloud-based applications with innovative technology that is fast, affordable and secure. Pivotal Cloud Foundry—the industry-leading cloud-native application platform—is now available in First National Technology Solutions’ cloud environment. This gives developers the ability to use modern technology to rapidly create, deploy and test the next generation of business-ready applications without having to invest in their own costly hardware. FNTS gives developers full visibility and control over their applications. Developers are free to update their apps instantly and securely, using a pay-as-you-go system. 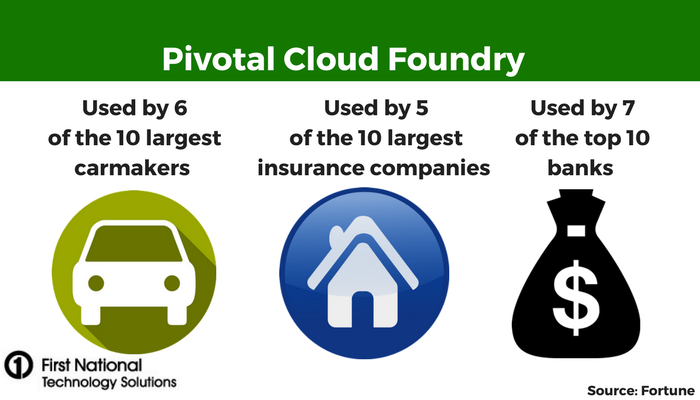 According to Pivotal, more than 30 percent of Fortune 100 companies utilize Pivotal Cloud Foundry. 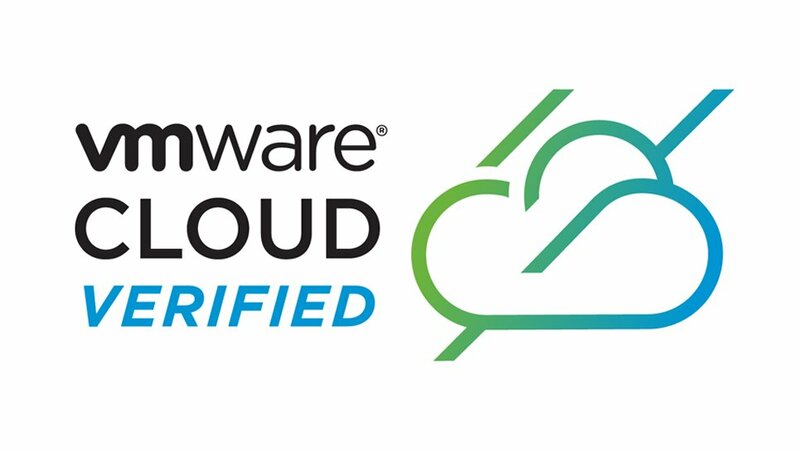 Garmin, Ford, General Electric, Verizon and Home Depot are just a handful of the notable businesses that have transformed into software-driven companies with the help of Pivotal Cloud Foundry. Pivotal Cloud Foundry also is used by six of the ten largest carmakers; seven of the top ten banks; and half of the 10 largest insurance companies, according to Fortune. 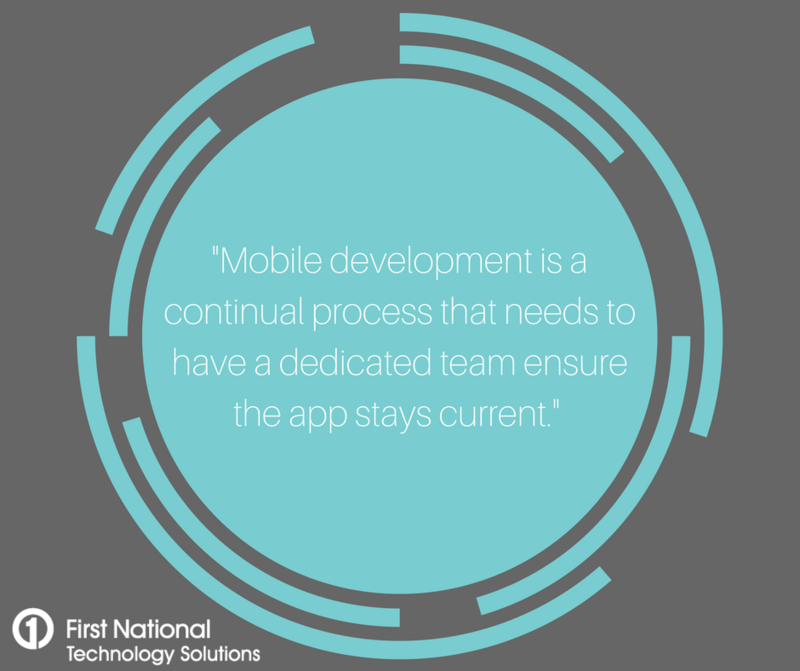 Is your business thinking about taking on a mobile development project? Mobile apps can make or break a business in the digital world. Before investing the time and money, there are several things for developers to take into consideration to get the most out of their app and to get the development right the first time. First National Technology Solutions (FNTS), headquartered in Omaha, Nebraska, offers cost-effective cloud services to businesses that are interested in deploying mobile applications. In business for more than 20 years, FNTS is a leading provider of flexible, customized hosted and remote management services to companies nationwide. Mobile device users may never get a perfect customer experience when using apps because content that may look great on iOS may look terrible on an Android device. Since there is such a wide variety of pixel counts, screen sizes and functionality, mobile developers start off by trying to accommodate too many variations, or not enough. Developers typically target the top four to five mobile devices and versions they want their app to be compatible with. Platform 3 is the latest topic from an IT perspective – the new development platform for the development of new applications. What I find the most interesting about this new platform is how it fundamentally changes the traditional approach for application development. No longer will there be purchasing hardware, server provisioning, traditional application development and middleware deployment. This new platform involves having a platform that developers are able to access and push their new application code to. You can continuously develop this application with continual enhancements and updates. 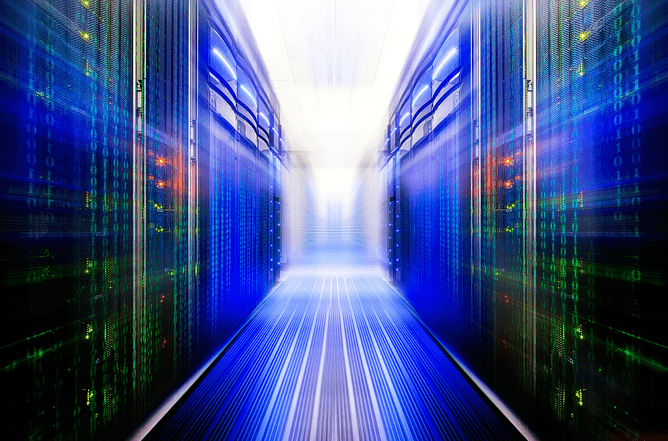 Behind the scenes, the infrastructure is deployed based on what the application requires. The infrastructure than continues to scale as required based upon the application demands.